Ageing brings with it some wonderful gifts, like gained wisdom, skills and insights, but it is not kind on the skin. The natural collagen and elastin in it diminishes, it becomes increasingly dry and thinner and less able to restore itself after damaging effects. The quantity of Hyaluronic Acid (HA) in our body is plentiful while we are young, but lessens with age and can contribute to unsightly changes in our appearance. These age lines or folds can be especially distressing when they impart an unnatural, comical or even disgruntled look or expression to a face. The restorative effects of Botulinum Toxin and other injectables can add invaluable quality to the lives of those afflicted in such ways. Even simply looking younger and more vital can add immeasurably to one’s psychological wellbeing. 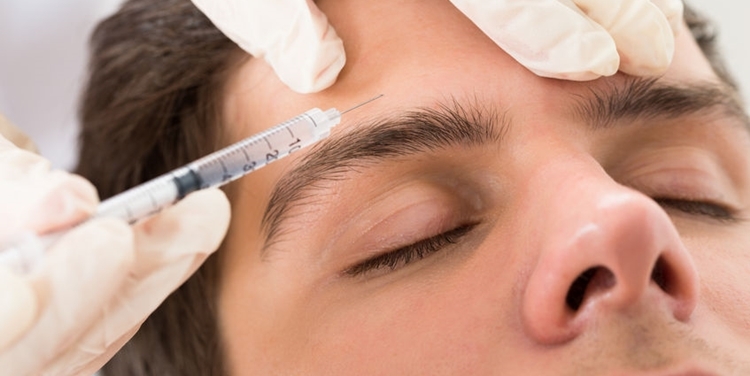 Botulinum Toxin (more commonly known as Botox) is a natural, purified protein and has many medical uses other than skin-related or cosmetic – this puts its value and safety beyond dispute. Doctors use it in small doses for a variety of health problems, to provide relief from severe migraines, muscle contractions, excessive sweating (hyperhidrosis), misaligned eyes, and even bladder problems. The injections work by deliberately weakening or paralyzing certain muscles in order to compensate for malfunctions, or by blocking certain nerves to offer relief. Depending on what condition is being treated, the positive effects last for about three to twelve months. Botulinum Toxin works by weakening nerve transmission signals to muscles which produce wrinkles, or by temporarily relaxing facial muscles that cause the signs of ageing. Frowning, for example, is a muscle motion caused by two muscle groups in the forehead – the procerus and corrugator muscles – and can be corrected with Botox. Though patients might suffer slight bruising or swelling directly afterwards, there are no long-term side-effects of cosmetic injections and this treatment is considered the most tested and safe wrinkle-treatment on the market. It is injected into muscles to lessen the severity both of lines between the eyebrows or ‘crow’s feet’ lines at the sides of the eyes. It can also be injected around lips and into lips, although any use of it in the lower face is technically an off-label use. Sometimes it is used in combination with an injectable filler to soften the fine vertical lines at the lip margin. There are instances where the use of Botox is not advisable on certain individuals; some people are allergic to botulinum toxin, for example, or could have problematic infections which preclude its use. It is therefore essential to be frank with your dermatologist about any medical condition from which you suffer, like a heart disease or breathing problems, and wise to acquaint yourself with the many effective alternatives available. Also, as Botunilum Toxin is a muscle treatment, it does not provide the ‘plumping’ effect desired by many considering cosmetic treatment. For a pretty, pouting effect, artfully positioned fillers are the suitable alternative. Additionally, those with damaged nerves or muscle complaints, and pregnant or breast-feeding mothers, should consider other injectable options. These are generally referred to as volumizing and dermal fillers (like Juvederm and Radiesse) and a dermatologist will prescribe the one most suitable in a patient’s given circumstances. Collagen is a natural protein in skin tissue and is essential for its strength and elasticity. Injecting it improves skin imperfections, like acne or other scars, and evens out any old age lines around eyes and lips. It can also produce fuller lips and cheeks and is even used to improve areas of the neck, chest and back. the aesthetic improvements after treatment are immediately visible. Whether desiring to add structure and volume to the face or to improve the texture of skin damaged by a harsh climate, accidents or acne, injectables are the obvious answer. And to eliminate other problematic or unsightly signs of ageing, like prominent knuckles and excessive wrinkles on the hands, as commonly seen even on middle-aged people, is every individual’s unassailable right. Botulinum Toxin and voluminizing fillers provide the way towards improved self-esteem and consequently a quick and constructive key to improved happiness. Dermatology is a specialist area of medicine dealing with both the medical and surgical aspects of the skin, nails, hair and its associated diseases. The aim of our society includes providing education to our members regarding safe and effective practices within dermatology, mentoring our registrars, as well as enlightening patients in this regard with the aim of maintaining excellent standards.